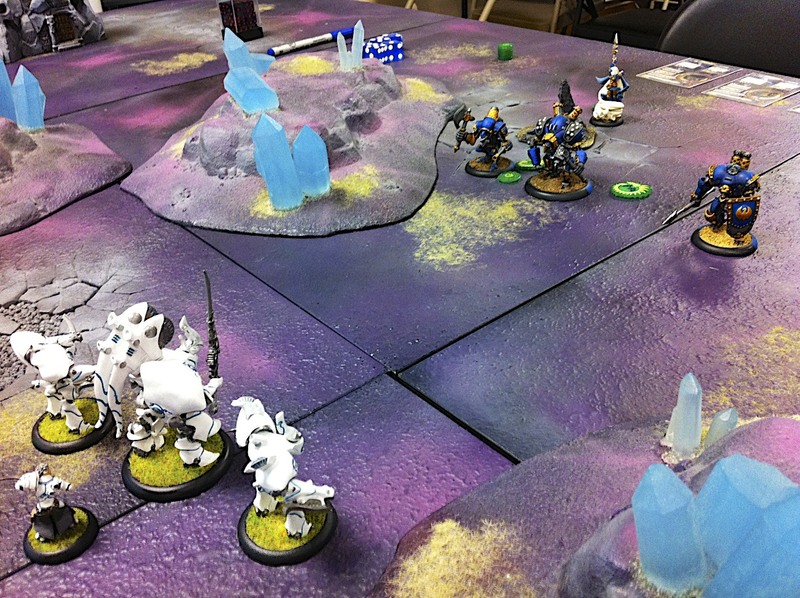 Warmachine Cygnar vs. Retribution 20 points | 30mm Madness! Doh! I’m now 1/5 vs my nemesis Mr. A!! I’ve actually got agreement from him to ‘reset’ the counter to games played at the shop, so am 1:1 (tied!). Which makes our next game ever so important! Quick description of the game… we played the “Break The Line” game type, and while I was able to toast both of his light warjacks, he fragged my unit of long gunners with his stealthed Mage Hunters (they could shoot me, but I couldn’t shoot them, as I didn’t bring any anti stealth) and my Ironclad with his battle group. It could have gone either way if it was a basic game… but at the beginning on my turn 4 he controlled two of his zones and one of mine…so it was game over! In retrospect I don’t think I’d play this game again at low points values (anything less than 35 or so). This entry was posted on July 13, 2012 by justinhardin. It was filed under Battle Reports, WarMachine .